Senior programmer Adrian Mursec shares some top tips on mobile SEO. This means we can apply many of the same optimisation techniques used on a normal website and transfer them across to a mobile site. General tips on optimising your page for a mobile device. Minimise CSS - Do this by cutting down on CSS rules and including them directly in the head tag of the page without a separate .css file. This will not only make the page load up more quickly but it will also require fewer file lookups per page request. Standard meta – For a mobile site I keep a similar meta structure to any other site. The title tag goes at the top of the list for importance. Remembering not to stuff the keywords, meta is important as it will help in reducing page size. Keeping the description to 10-15 words will help as most mobile search engines won’t display much more than 60-80 characters. URLs – Keeping URLs SEO-friendly is easy enough but for mobile devices it's good practice to try to make sure they are as short as possible. Remove the www. at the start to reduce every URL by four characters before you even type in the domain name. By using .htaccess file rules you can also remove file extensions such as .html which would normally be another five characters. In total that’s nine characters the user won’t have to type in to a mobile keypad for each URL. Inline – Normally this is something I would avoid but since we wanted to speed up page processing and cut down on CSS files it is OK to include extra attributes to HTML elements such height, width, align etc. Design – You can cut down on the need for image-heavy designs by making the most of HTML styling such as dashed borders and colouring. This will help on page load speed and file requests. Overall, mobile site optimisation is like a more intense version of general on-page SEO. Taking small changes such as SEO-friendly URLs and making them ultra short to help usability and cutting down on file requests is only the start. 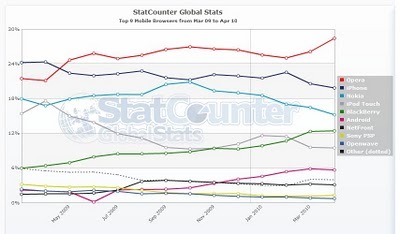 The technology behind mobile websites is progressing at a faster speed today than any other technology on the market. In my opinion, the best technology to keep up to date with is that which shows growth and not just what is popular at the time.